Most insurers of the Ford Transit require a Thatcham Approved van alarm to be fitted, something Safe & Sound can do with ease. 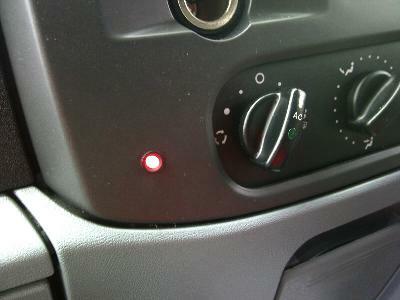 The modern Ford Transit has factory fitted remote central locking complete with dead locks. The remote control allows the user to lock and unlock the cab doors, and the rear doors independently, something we know is very useful and owners are keen to keep this functionality. Safe & Sound are able to install a Van Alarm to your Ford Transit that not only operates via the lock and unlock buttons of this remote but also retains the full functionality of the remote control. Sometimes you require a little more protection than the standard Thatcham Approved Van Alarm offers. You can customise and upgrade your Ford Transit van alarm to include additional Loud sirens (these can be mounted inside or outside the vehicle). Additional sensors can be fitted in the cargo area if required. If you would like to know more about our Ford Transit Van Alarms then please do not hesitate to contact us for free, professional, friendly advice. We provide a mobile installation service of our Ford Transit van alarms throughout Yorkshire * including: Wakefield, Pontefract, Castleford, Dewsbury, Leeds, Huddersfield, Bradford, Sheffield, York, Hull, Goole at a location to suit you.